Kushiro first developed as an industrial hub thanks to its relatively ice-free harbor, and has since also become known as a transport hub for journeys to the east of the island. Onward connections on JR trains lead visitors to the volcanic, mountainous, and lake-filled national parks of the region, with tourist visits to Kushiro usually lasting little longer than it takes to arrange such a journey at one of the stations. A little closer to the main urban area lies the largest marshland in the country, an important habitat for the endangered Japanese crane. Kushiro is in Hokkaido. When using our Japan holiday maker site to make an itinerary online, Kushiro holidays come together around your tastes, interests, and requirements, with us taking care of the logistics. 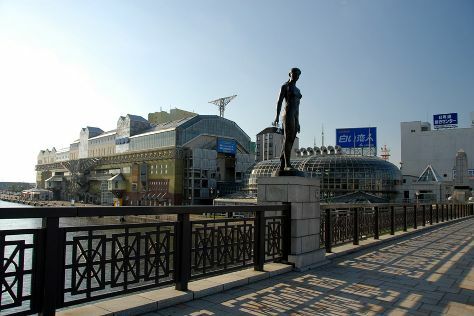 When it comes to international tourism, Kushiro represents more of a transit point than a destination, with people passing through and using it for its good onward connection options. For those that do spend the night here, Kushiro has a welcome set of accommodations, usually business class hotels with a pool, a restaurant, and simple rooms. Some particularly budget-friendly hotels sit as close as possible to the main train station, while the train station district as a whole contains the vast majority of what's available here.